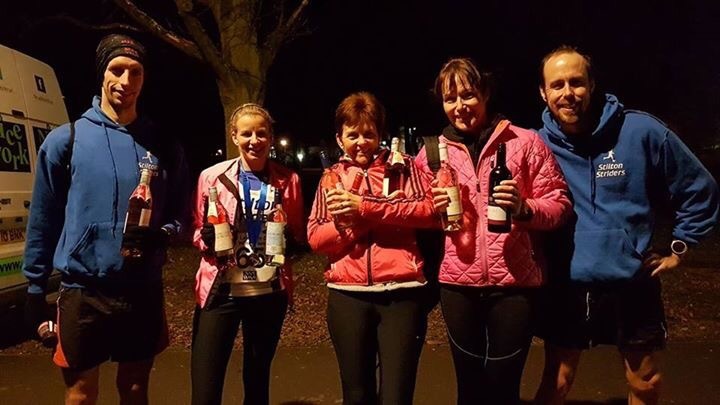 On Wednesday evening a small group of Striders joined 56 runners in the 3rd round of the Victoria Park 5k winter series. This is a very friendly race around Victoria Park. First back for the men was Jason Barton in a great time of 17.10 (2nd place) and followed Clive Kent – 20.19 (9th male).